The White House response to Tuesday's results has been listless at best. Richard Wolffe on the 2008 campaign lessons that could help Obama rally Democrats again. Since Tuesday night’s election results, the White House has repeated a simple mantra about the Democratic losses in New Jersey and Virginia: that the defeats had nothing to do with them. For a political team so deeply involved in state races that it famously pressured Gov. David Paterson not to run again in New York, this is a tricky stance. Voters may not have pulled the lever because of Obama, but Obama’s aides surely tried to help guide their choices along the way. The challenge for a new president is to maintain a sense of the unconventional—to preserve the brand of Change — while also embodying an institution and filling the role of commander in chief. As their fellow Democrats try to figure out what 2009 means, and what course to chart in 2010, Team Obama would do well to think back on 2008. After all, Obama and his inner circle have endured political setbacks before. The momentum he generated between January and March of last year—between the Iowa caucuses and the Texas primary—was not unlike the honeymoon period of his presidency. But then, candidate Obama hit a wall, slogging through Pennsylvania and two bouts of bad news surrounding the Rev. Jeremiah Wright. For a team that campaigned across the country for twice as long as they have worked inside the White House, the headlines about Tuesday’s losses in Virginia and New Jersey were hardly the devastating blows portrayed by many pundits. But there is a lesson to be drawn from all those months on the campaign trail—a lesson that goes beyond economic distress and the identity crisis among new independents. How Obama and his team responded to setbacks on the campaign trail could help them regain the political initiative now after a disappointing day at the polls. When Team Obama resorted to their older, safer routine, they tended to lose. They grew overconfident in New Hampshire and failed to engage their main rival. They grew complacent and cautious after Super Tuesday, spouting boilerplate condemnations of NAFTA before losing in Texas and Ohio. And they plodded their way through Pennsylvania with a dull series of photo ops that failed to underscore their core message of Change We Can Believe In. But when Team Obama took chances—tore up the playbook in response to crises—they unsettled opponents and reminded voters why the outsider was different. That happened in South Carolina, when Obama unnerved Bill Clinton. And it happened in North Carolina and Indiana, when Obama rejected the populist idea of a gas-tax holiday. In both cases, Obama succeeded by calling an audible instead of playing the usual politics of gimmicks and personal attacks. The strategy worked when he took his campaign plane overseas, when he took his acceptance speech outdoors, and when he aired a prime-time TV infomercial. Almost any time Obama was unconventional, the gamble paid off. Where could the Obama White House be unconventional now? The targets are clear: the economy and independent voters. Obama’s political strategists and pollsters have argued for several months that economic distress—and the natural deflation after the bubble of the inauguration—have led to the president’s numbers falling into the mid-50s range. Just as troubling is the steady decline in support among independents—the voting bloc that Obama courted so rigorously through Iowa, the general election and the first several months of his presidency. Obama’s aides insist that the slide in independent support is largely the result of the growth of the independent bloc itself, as it has swelled with disillusioned Republicans. That is precisely why David Axelrod, Obama’s chief strategist, focuses so intently on the 23rd District in New York: not just because the Democratic candidate won, but because the GOP found it so hard to bridge the gap between its own supporters and the disaffected independents who used to call themselves Republicans. That victory shows the narrow and centrist path Obama hopes to walk through the year leading to next year’s congressional elections. The challenge for a new president is to maintain a sense of the unconventional—to preserve the brand of Change—while also embodying an institution and filling the role of commander in chief. That will mean doing something more than passing health-care legislation, and even reshaping America’s relations with the rest of the world. It means moving the economic debate away from spending versus tax cuts toward something much more practical. It could mean taking a trust-busting spirit to Wall Street, invoking the spirit of Teddy Roosevelt. Or it could mean something as simple as breaking out of the routine of White House announcements and factory visits—and rolling up his sleeves while he hears the stories of those who are suffering from job cuts. He could even send a team of his own to live in Detroit for a week, alongside Time magazine’s reporters. If he can’t fix the economy overnight, he can at least look like he feels the country’s economic pain. Over the next 12 months, Obama needs to look less like an incumbent, and more like an insurgent—less like a creature of Washington, and more like a community organizer from Chicago. 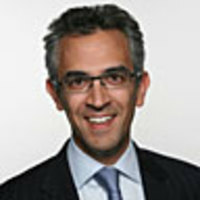 Richard Wolffe is a Daily Beast columnist and an award-winning journalist, as well as a senior strategist at Public Strategies. He covered the entire length of Barack Obama's presidential campaign for Newsweek magazine. His book, Renegade: The Making of a President, was published by Crown in June.